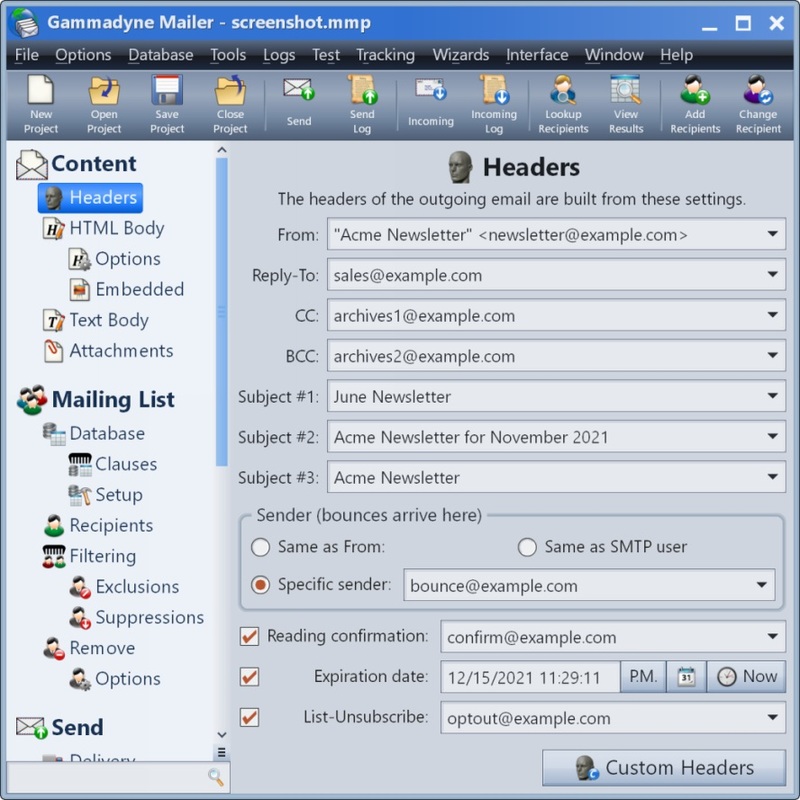 Gammadyne Mailer is essential software for automating a business’s email marketing. It can send personalized email campaigns and process virtually any type of incoming email. Carefully crafted to achieve the highest delivery rate, it will reach more of your audience and generate more sales. And its ability to track opens and clicks provides an abundance of marketing knowledge. By utilizing your website’s mail server, or renting a cheap server, you can save a fortune by avoiding the recurring fees associated with an email service. For over 19 years, Gammadyne Mailer has been helping businesses grow. No email marketing effort should be without it!